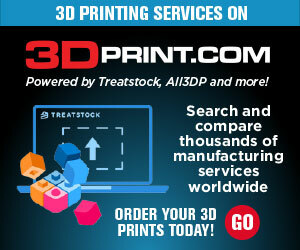 M3D is offering a special 3DPrint.com discount if you order their high quality, super affordable 3D Printer using coupon code “REFURB3DP” at checkout. The price is just $299 for the special refurbished edition. Click here for more info and to order. Don’t forget the coupon code! !